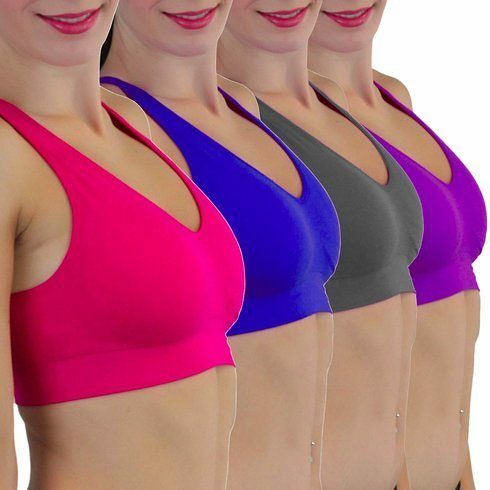 6-Pack Seamless Padded Sports Bras Only $19.99! You are here: Home / Great Deals / 6-Pack Seamless Padded Sports Bras Only $19.99! Don’t let the term “sports bra” intimidate you! Even if the only sprint you ever do is to run for the bus, you’ll appreciate the comfort and support of this 6-Pack Seamless Padded Sports Bras Only $19.99!